Immagini Stock - Social Media Concept With Happy Smiling Yellow Face Over Cup Paper And Share Click Like Words, Blue Background. Image 113299502. Archivio Fotografico - Social media concept with happy smiling yellow face over cup paper and share click like words, blue background. 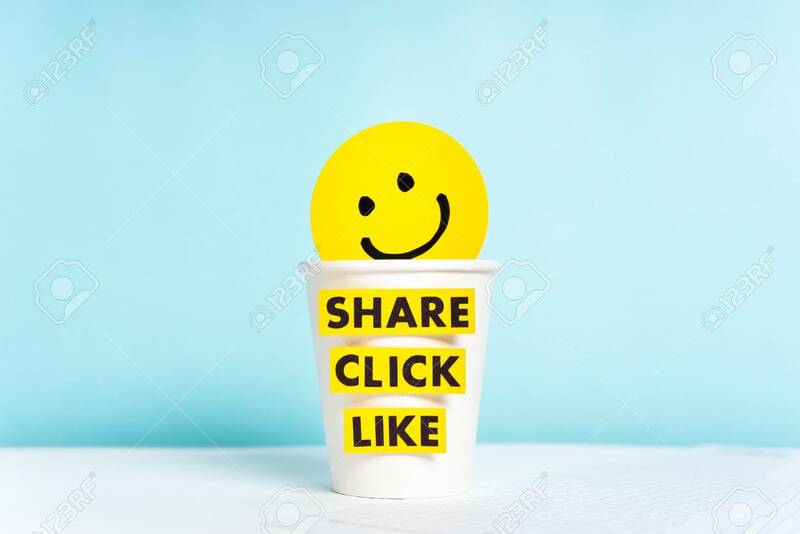 Social media concept with happy smiling yellow face over cup paper and share click like words, blue background.